The renowned architectural photographer shares seven decades’ worth of images of the city he loved, celebrated, and made iconic. With a life and career spanning nearly a century, Julius Shulman is credited with furthering the midcentury modernism movement through his flawless photographs of the pioneering architecture of Richard Neutra and Charles Eames, among others. While Shulman’s pictures comprise the most published images of the modernist movement, this new monograph presents many never-before-seen images on a subject closest to Shulman’s heart: Los Angeles and its environs—including Palm Springs and other suburbs. These affecting photographs show Los Angeles as a living organism, simultaneously vibrant and volatile depending on the neighborhood. This tension is apparent in Shulman’s documentation of then-emerging areas like Century City, Wilshire Boulevard, and Echo Park, as well as his studies of landmarks like the Watts Towers and Grauman’s Chinese Theatre. Many of the Los Angeles buildings and neighborhoods photographed by Shulman have since been overhauled, torn down, or otherwise altered beyond recognition, making these images some of the only lasting testaments to their existence. Selected from his personal collection as well as his official archives, the photographs included in this book represent not only lesser-known and never-before-seen material, but also some of Shulman’s own personal favorites. Sam Lubell is an architectural writer and the West coast editor of the Architect’s Newspaper. 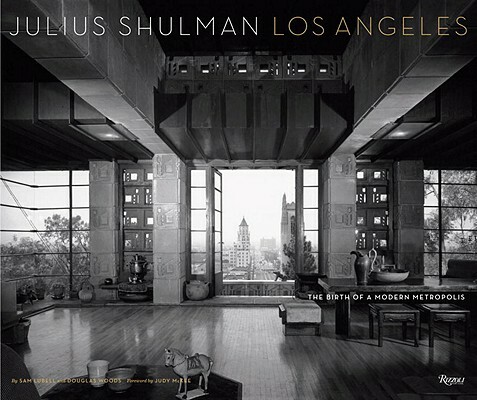 Judy McKee is Julius Shulman’s only child and the executor of his estate.